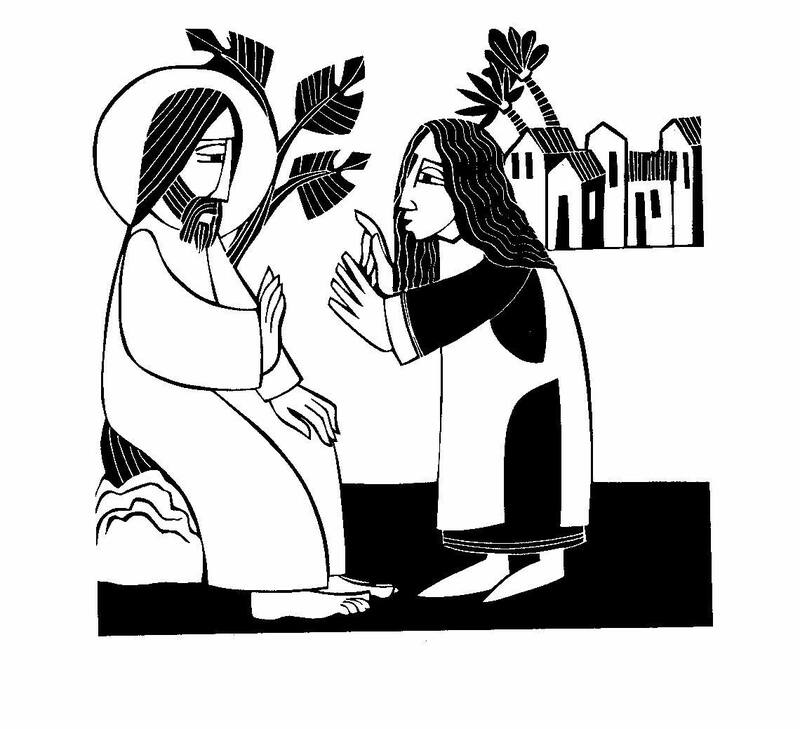 A sermon for the Fifteenth Sunday after Pentecost, September 6, 2015, a Sunday for “Confession, Repentance, and Commitment to End Racism.” The lectionary readings are Isaiah 35:4-7a, Psalm 146, James 2:1-10, (11-13), 14-17, and Mark 7:24-37. Later, in our Prayer of Confession, I’ll invite you to use the silence to join me especially in confessing the ways we have benefited because of racism, the ways we may have taken for granted the advantages we have been given because of our skin color, and certainly the confess the ways in which racist words or actions have belittled any of God’s children. We will pray prayers of confession, but in some ways, that’s the easy part. How do we, in all honesty, commit “to end” racism? The way our country is moving, the way our world seems to be moving, does not bode well for ending racism. Too many people profit. And while we may not be able to imagine “ending” racism, we can (and must) at least commit to becoming less racist in our thoughts and actions—whether expressed or unexpressed. We can at least do three things: We can be more aware. We can be open to change. And we can listen. The puppets go on to sing and laugh their way through just about every possible racial stereotype you can imagine. Those bawdy puppets in Avenue Q help us make a beginning by admitting that we all carry impressions that are misunderstood, not based on fact, and often simply handed down to us, unquestioned. And it seems that people of all races make assumptions. We first need to be aware of our racist thoughts and presuppositions. But then, with awareness, we can begin to be open to God’s renewal. We can be open to repentance. In today’s Gospel, Jesus has traveled a ways from home, but he’s still carrying “home” and the prejudices of Galilee inside him. He is in a northern area that today, would be in a part of Lebanon. And there Jesus meets a woman, a woman whose name we don’t get from scripture. But we’re told that she is foreign. She’s a Syrophoenician. The Gospel writer Mark doesn’t bother with her name but does what a lot of us might do, he simply identifies her by her race. We don’t mean to be racist, when we do it. We say we’re just trying to be clear, just trying to save time. And so, we might refer to “the Hispanic lawyer,” “that black doctor,” “that nice Indian family down the street,” or “the guy at work who is Middle Eastern, or Indian, or something….” And so when we read “the Syrophoenician woman,” what is suggested is that she is different. She’s not Jewish. She doesn’t worship the right God. She’s not from Galilee. She’s not like me and you. And yet, she approaches Jesus. She comes up to him and asks him to heal her daughter. But Jesus shrugs her off, repeating what must have been an expression of his day, “Let the children be fed first, for it is not fair to take the children’s food and throw it to the dogs.” Here, Jesus implies that the “children” are the children of Israel, God’s chosen people. Jesus understands his own mission as being for Israel, for the Jews—not for others. And so, this woman’s problems are simply outside his purview, beyond his job description. Snap. Something happens to Jesus. Something shifts. Perhaps something breaks, but whatever happens, something opens up. The little girl at home is healed, but Jesus too… is healed. He’s healed of his prejudice, healed of his shortsightedness and parochialism… I daresay, Jesus is healed of his racism. Jesus is made aware, and we can be more aware of the insidious and unspoken ways that our habits, our customs, and our culture support racism. Like Jesus, open to the rebuke, and open to the Spirit’s power, we can be open to repentance, to changing, to being turned around. But because we’re NOT Jesus. We don’t get it right every time thereafter. We can go forward by listening. And especially for those of us who are in any kind of racial majority, listening is perhaps the hardest thing of all. The Very Rev. Mike Kinman is the dean of Christ Church Cathedral in St. Louis, and he tells a powerful story about his learning to listen. * In the wake of Michael Brown’s killing, Dean Kinman was upset and energized. And so he got on the phone and began to gather up everyone he knew—all the St. Louis leaders, the movers, and the shakers. He decided they should have an old fashioned teach-in and bring all these leaders together to offer wisdom and guidance to St. Louis, to talk about race, and power, and privilege, and begin to work toward healing. Talk, talk, talk. Until his friend, the Rev. Traci Blackmon, took him aside. Rev. Blackmon is the pastor of Christ the King United Church of Christ and she told him (perhaps with a Syrophoenician accent), “That’s your privilege, Mike. You need to stop. You need to listen.” Dean Kinman explains what is true for me and for many in this room, that because of our race, gender, education level, economic level, our advantage—we’re used to being able to control things. When anything goes wrong, we can deal with it. We make a few calls, we pull a few strings, call in a favor, and get things fixed. We’re used to getting attention and having people respond to us. Dean Kinman realized that he was being called to listen—not to fix, not to translate, not to amplify or mute or make more palatable, but simply to listen. The voices that are crying out need to be heard, especially by people like me, and Mike Kinman, and perhaps by you, too. They may be hard to listen to. We might want to interject and say, “oh, but surely you don’t mean me”—but it’s not my right or business to interrupt, or interject, or respond with my defense. It’s a time to listen. And it’s a time to let our listening be a form of true prayer. “Be opened,” is the simple, stark phrase Jesus uses. But what mighty words! Jesus is healed as his own mind, perspective, sense of mission, and sense of himself—are opened to God in new ways. We can be opened, as well, and whenever that happens, we become a little less racist. We live in a society that very much sees color and race before anything else. What do we do in such a society? How do we subvert racist tendencies in ourselves, in our families, in our work, in our institutions? If Jesus were standing in front of us right now, looking into our eyes and saying, “Be opened,” what might he be calling out of us? How might he be calling us to change, to turn, to repent? We can begin by becoming aware. Being open. And listening. May God’s holy and life-giving Spirit move every heart, so that barriers which divide us may crumble, suspicions disappear, and hatreds cease; that our divisions being healed, we may live into justice and peace; through Jesus Christ our Lord. Amen. *The stories of Eugene Sutton and Michael Kinman are taken from “Listen for a Change: Sacred Conversations for Racial Justice,” an insert published by Trinity Wall Street in The Living Church, September 6, 2015.